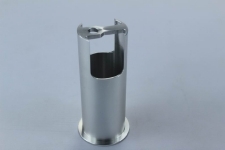 High Quality Precision CNC Machining Services in China, CNC Milling, CNC Turning, Precision Machining and Contract machining services from China for UK Customers. 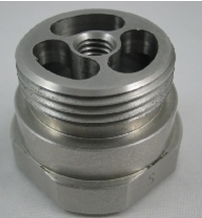 As part of our overall Outsourcing Solution, Source in Asia Limited specialise in Precision CNC Machining in China. 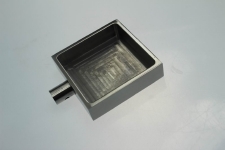 We have built a reputation offering a CNC Machining Service providing CNC machined components, cost effectively with high quality, and have become a reliable part of our customers component sourcing strategy and helping them to maintain their competative edge. 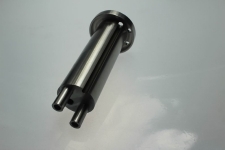 We are commited to provide UK customers the best machined products and services at the most competative price, batches can be high or low voume. 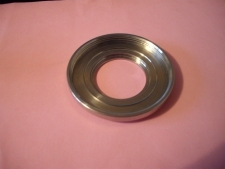 Aluminium - 5052, 6061, 6063 and 7075. Mild Steel - 1211, 1212 and 1213. 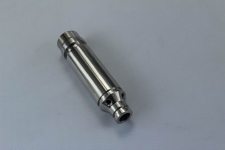 Source in Asia Limited offer High Quality CNC Component Manufacture and Machining Services in China maintaining high precision, high quality products to the Automotive, Aerospace, Marine, Medical, Lighting, Defence, Sport and Leisure Industries. 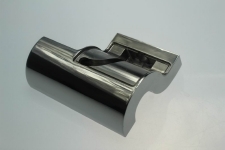 All our Chinese Suppliers are accredited to ISO 9001:2008 or TS 16949:2002. Control Plan created for each component to monitor component quality. SPC capability available for SC's should customers require. Full Inspection facilities with components being checked on CMM equipment. 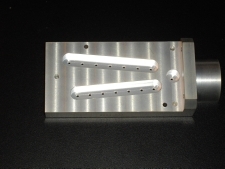 Full PPAP documentation produced for Automotive Components. 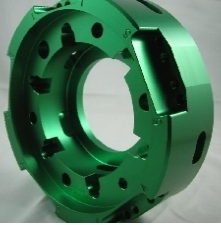 Material Certification, RoHS Complient Certificates, Inspection Report provided for each delivery. 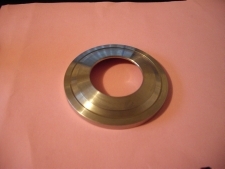 Send us your part drawings or samples with your detailed requirements by eMail to enquiries@sourceinasia.global and we will arrange a quotation for you. 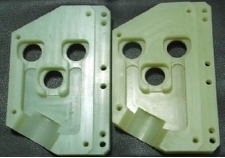 You can send 2D or 3D drawings with the drawing format in JPG, PDF, DWG, DXF, STP and Iges. 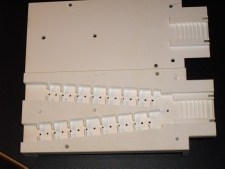 Tap Body showing location for electric cable. 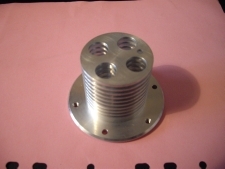 Some CNC Machined parts recently supplied by Source in Asia. 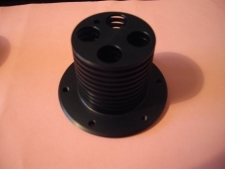 ALUMINIUM BRACE LINK, BLACK ANODISED. 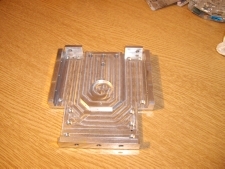 ALUMINIUM HEAT SINK, BLACK ANODISED. 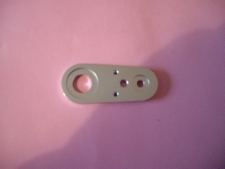 STAINLESS STEEL CONCEALED LIGHT RING. 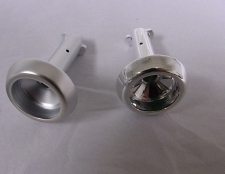 AUTOMOTIVE ALUMINIUM RADIO KNOB FACIA, CHROME PLATED. 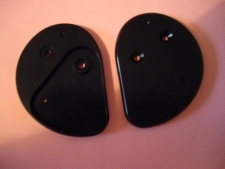 AUTOMOTIVE ALUMINIUM RADIO KNOB FACIA, SATIN FINISH. 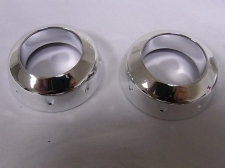 AUTOMOTIVE ALUMINIUM RADIO KNOB, CHROME PLATED AND SATIN FINISH. 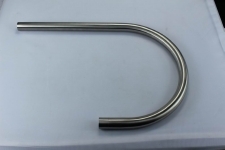 STAINLESS STEEL TAP SPOUT - POLISHED.